BusyMac, makers of BusySync, has introduced BusyCal, a new calendar app for Mac OS X that enables you to share calendars with other users on a LAN and sync via Google Calendar. 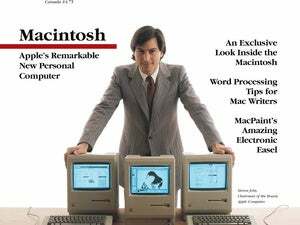 It will be shown this week at Macworld Expo in booth 3526-I. Coming this spring, BusyCal will cost $40 per computer. 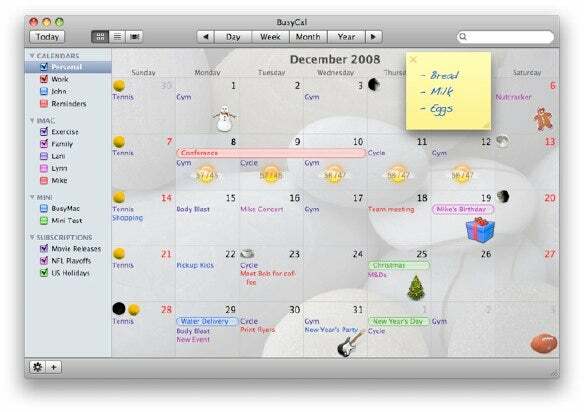 BusyCal features a calendar interface that’s uncannily like iCal’s, and is aimed at families and small workgroups that want to share calendars without having to rely on a dedicated server. Shared calendars can be viewed and edited by multiple users, with synchronization happening instantly between users. You can use BusyCal to display graphics, sticky notes and live weather feeds, create to-do list items, including recurring to-dos, that display the calendar view and will automatically forward until completed. You can also apply custom fonts, styles and colors to different events. The calendars produced by BusyCal are compatible with other apps and services, including Apple’s own Sync Services, iCal, MobileMe and the iPhone.